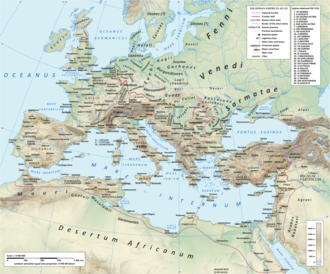 The Chattuarii or Attoarii were a Germanic tribe of the Franks. They lived originally north of the Rhine in the area of the modern border between Germany and the Netherlands, but then moved southwards in the 4th century, as a Frankish tribe living on both sides of the Rhine. According to Velleius Paterculus, in 4 AD, the emperor Tiberius crossed the Rhine, first attacking a tribe which commentators interpret variously as the Cananefates or Chamavi, both being in the area of the modern Netherlands, then the Chattuari, and then the Bructeri between Ems and Lippe, somewhere to the north of the modern Ruhr district in Germany. This implies that the Chattuari lived somewhere in the west of Westphalia. 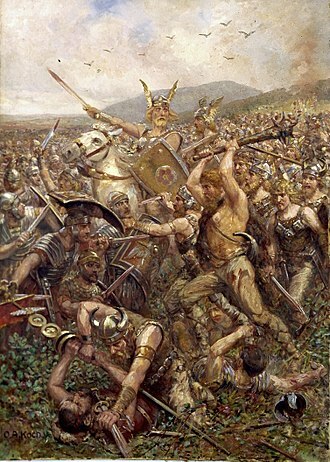 Strabo mentions the Chattuari as one of the non-nomadic northern Germanic tribes in a group along with the Cherusci, the Chatti, and the Gamabrivii. (He also contrasted with other non nomadic tribes supposedly near the Ocean, the Sugambri, the "Chaubi", the Bructeri, and the Cimbri, "and also the Cauci, the Caülci, the Campsiani".) Strabo also notes them as one of the tribes who allied under the Cherusci and were made poor after being defeated by Germanicus. They apparently appeared at his triumph in 17 AD along with the Caülci, Campsani, Bructeri, Usipi, Cherusci, Chatti, Landi, and Tubattii. There is no consensus on any connection between the Chattuarii and either the similar-sounding Chatti or, less likely, the Chasuarii, who both lived in a similar region of Germany, and are also mentioned in Roman era texts. ...entered the district belonging to a Frank tribe, called the Attuarii, men of a turbulent character, who at that very moment were licentiously plundering the districts of Gaul. He attacked them unexpectedly while they were apprehensive of no hostile measures, but were reposing in fancied security, relying on the ruggedness and difficulty of the roads which led into their country, and which no prince within their recollection had ever penetrated. Some of them (laeti) were also settled in France pagus attuariorum (French; Atuyer, comprising Oscheret at that time) south of Langres in the 3rd century. Under the Franks, the name of the Chattuari was used for what became two early medieval gaus on either side of the ride, north of the Ripuarian Franks, whose capital was in Cologne. The eastern side, they were near the Ruhr river, and across the Rhine they settled near the Niers river, between Maas and Rhine, where the Romans had much earlier settled the Germanic Cugerni. This western gau (Dutch: Hettergouw, German: Hattuariergau) is mentioned in the Treaty of Meerssen, in the year 870 AD. 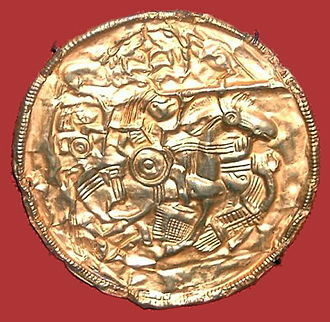 The Chattuarii may also appear in the poem Beowulf as "Hetwaras" where they appear to form a league together with the Hugas (who may be the Chauci) and the Frisians to fight against a Geatish raiding force from Denmark. The Geats are defeated and their king Hygelac is killed, Beowulf alone escaping. According to Widsith, the Hætwera were ruled by Hun. 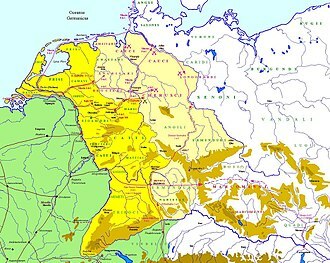 The Cherusci were a Germanic tribe that inhabited parts of the plains and forests of northwestern Germany, in the area possibly near present-day Hanover, during the 1st century BC and 1st century AD. They led an important war against the Roman Empire, subsequently they were probably absorbed into the tribal confederations such as the Franks and Allemanni. The etymological origin of the name Cherusci is not known with certainty, according to the dominant opinion in scholarship, the name may derive from the ancient Germanic word *herut. The tribe may have named after the deer because it had a totemistic significance in Germanic symbolism. A different hypothesis, proposed in the 19th century by Jacob Grimm and others, derives the name from *heru-, hans Kuhn has argued that the derivational suffix -sk-, involved in both explanations, is otherwise not common in Germanic. He suggested that the name may therefore be a compound of ultimately non-Germanic origin, the first historical mention of the Cherusci occurs in Book 6.10 of Julius Caesars De Bello Gallico, which recounts events of 53 BC. Caesar relates that he crossed the Rhine again to punish the Suebi for sending reinforcements to the Treveri and he mentions that the Bacenis forest separated the territory of the Cherusci from that of the Suebi. In 12 BC, the Cherusci and other Germanic tribes were subjugated by the Romans and they appear to have been living in the same homeland when Tacitus wrote,150 years later, describing them as living east of the Chauci and Chatti. This is generally interpreted to be an area between the rivers Weser and Elbe, as Rome tried to expand in northern Europe beyond the Rhine, it exploited divisions within the Cherusci, and for some time the tribe was considered a Roman ally. At this time the tribe was split between Arminius and Segestes, Arminius advocated breaking allegiance to Rome and declaring independence, while Segestes wanted to remain loyal. 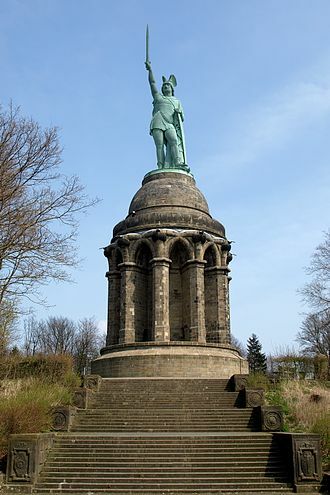 By about 8 AD, Arminius had gained the upper hand, Segestes repeatedly warned Publius Quinctilius Varus, the governor of Gaul, that rebellion was being planned, but Varus declined to act until the rebellion had broken out. 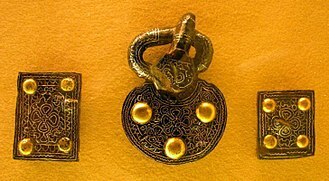 The Geats, and sometimes Goths) were a North Germanic tribe inhabiting what is now Götaland in southern Sweden. The name of the Geats lives on in the Swedish provinces of Västergötland and Östergötland, the Western and Eastern lands of the Geats, the earliest known surviving mention of the Geats appears in Ptolemy, who refers to them as Goutai. In the 6th century, Jordanes writes of the Gautigoths and Ostrogoths, the Norse Sagas knows them as Gautar and Widsith as Gēatas. The etymology of the name Geat is similar, although not identical, to that of Goths, the names are derived from different ablaut grades of the Proto-Germanic word *geutaną, meaning to pour. They are generally accepted to have originated as heiti for men, a more specific theory about the word Gautigoths is that it means the Goths who live near the river Gaut, todays Göta älv. It might have been a conflation of the word Gauti with a gloss of Goths, in the 17th century the name Göta älv, River of the Geats, replaced the earlier names Götälven and Gautelfr. These sources concern a raid into Frisia, ca 516, which is described in Beowulf. Some decades after the events related in this epic, Jordanes described the Geats as a nation which was bold, before the consolidation of Sweden, the Geats were politically independent of the Swedes or Svear, whose old name was Sweonas in Old English. When written sources emerge, the Geatish lands are described as part of the still very shaky Swedish kingdom, the actual story in Beowulf, however, is that the Geatish king helps a Swede to gain the throne. What historians today think is that this realm could just as well be the force behind the creation of the kingdom of Sweden. The historians make a distinction between history and the emergence of a common Swedish ethnicity. 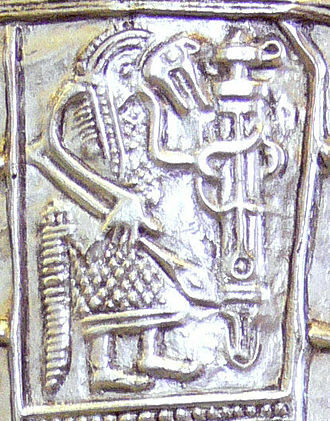 The Hervarar saga is believed to contain such traditions handed down from the 4th century, according to Curt Weibull, the Geats would have been finally integrated in the Swedish kingdom c. 1000, but according to others, it most likely took place before the 9th century, the fact that some sources are silent about the Geats indicates that any independent Geatish kingdom no longer existed in the 9th century. Northern Europe is the northern part or region of Europe. However, narrower definitions may be used based on geographical factors, such as climate. Greenland, geographically a part of North America, is politically a part of the Kingdom of Denmark, while Northern Europe overlaps with most of Northwestern Europe, north-Central Europe, and Northeastern Europe, it does not border Southern Europe. Countries which are central-western, central-central, or central-eastern are generally considered part of neither Northern Europe or Southern Europe. Historically, when Europe was dominated by the Mediterranean region, everything not near this sea was termed Northern Europe, including southern Germany, all of the Low Countries and this meaning is still used today in some contexts, such as in discussions of the Northern Renaissance. In medieval times, the term Thule was used to mean a place in the extreme northern reaches of the continent. The region has a south west extreme of around 50 degrees north, the entire regions climate is mildly affected by the Gulf Stream. 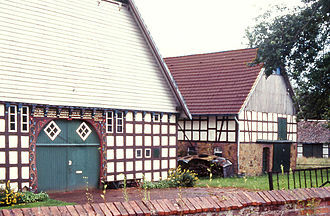 The Angles were one of the main Germanic peoples who settled in Great Britain in the post-Roman period. They founded several of the kingdoms of Anglo-Saxon England, and their name is the root of the name England, the name comes from the district of Angeln, an area located on the Baltic shore of what is now Schleswig-Holstein. The name of the Angles may have been first recorded in Latinised form, as Anglii and it is thought to derive from the name of the area they originally inhabited, Angeln in modern German, Angel in Danish. This name has been hypothesised to originate from the Germanic root for narrow, meaning the Narrow, i. e. the Schlei estuary, the root would be angh, tight. Another theory is that the name meant hook, as in angling for fish, Julius Pokorny, Gregory the Great in an epistle simplified the Latinised name Anglii to Angli, the latter form developing into the preferred form of the word. The country remained Anglia in Latin, the earliest recorded mention of the Angles may be in chapter 40 of Tacituss Germania written around AD98. Tacitus describes the Anglii as one of the more remote Suebic tribes compared to the Semnones and Langobardi and he grouped the Angles with several other tribes in that region, the Reudigni, Varini, Eudoses and Nuitones. These were all living behind ramparts of rivers and woods and therefore inaccessible to attack, the Eudoses are the Jutes, these names probably refer to localities in Jutland or on the Baltic coast. The majority of scholars believe that the Anglii lived on the coasts of the Baltic Sea and these Suevi Angili would have been in Lower Saxony or near it, but they are not coastal. The three Suebic peoples are separated from the coastal Chauci, and Saxones, by a series of tribes including, Ptolemy describes the coast to the east of the Saxons as inhabited by the Farodini, a name not known from any other sources. Owing to the uncertainty of this passage, there has been speculation regarding the original home of the Anglii. The ethnic names of Frisians and Warines are attested in these Saxon districts, a second possible solution is that these Angles of Ptolemy are not those of Schleswig at all. He rode in a four-horse chariot through the streets of Rome in unarmed procession with his army and the spoils of his war. At Jupiters temple on the Capitoline Hill, he offered sacrifice, the triumph offered extraordinary opportunities for self-publicity, besides its religious and military dimensions. From the Principate onwards, the reflected the Imperial order. The triumph was consciously imitated by medieval and states in the royal entry, in Republican Rome, truly exceptional military achievement merited the highest possible honours, which connected the vir triumphalis to Romes mythical and semi-mythical past. In effect, the general was close to being king for a day and he was drawn in procession through the city in a four-horse chariot, under the gaze of his peers and an applauding crowd, to the temple of Capitoline Jupiter. The spoils and captives of his victory led the way, his armies followed behind, once at the Capitoline temple, he sacrificed two white oxen to Jupiter and laid tokens of his victory at Jupiters feet, dedicating his victory to the Roman Senate and gods. Triumphs were tied to no particular day, season, or religious festival of the Roman calendar, most seem to have been celebrated at the earliest practicable opportunity, probably on days that were deemed auspicious for the occasion. Tradition required that, for the duration of a triumph, every temple was open, the ceremony was thus, in some sense, shared by the whole community of Roman gods, but overlaps were inevitable with specific festivals and anniversaries. Some may have been coincidental, others were designed, Pompey postponed his third and most magnificent triumph for several months to make it coincide with his own dies natalis. Religious dimensions aside, the focus of the triumph was the general himself, the ceremony promoted him – however temporarily – above every mortal Roman. This was an opportunity granted to very few, from the time of Scipio Africanus, the triumphal general was linked to Alexander and the demi-god Hercules, who had laboured selflessly for the benefit of all mankind. 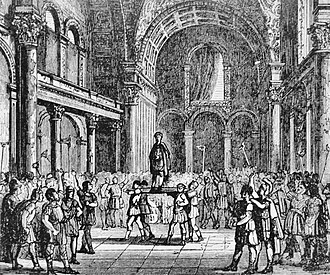 Charles of Provence suffered from epilepsy and died heirless in 863, and his kingdom was partitioned between his brothers. Lothair II, his heir, received only the western Lower Burgundian parts which were bordering his western Upper Burgundy, lothair II died in 869 without legitimate children so his heir was his brother, Emperor Louis II of Italy. As Louis was at that time campaigning against the Emirate of Bari, his uncles, Louis the German and Charles the Bald, however, at this time large parts of the Frisian coast were under Viking control and therefore only divided on paper. The borderline ran roughly along the rivers Meuse, Moselle, in the north, Louis received most of Lothairs Austrasia, with his eastern part including both Aachen and Metz, and most of Frisia. The arrangement did not endure more than ten years, upon the death of Louis the German in 876, Charles the Bald, by King of Italy and Emperor, attacked eastern Lotharingia, but was rejected by Louis the Younger in the Battle of Andernach. 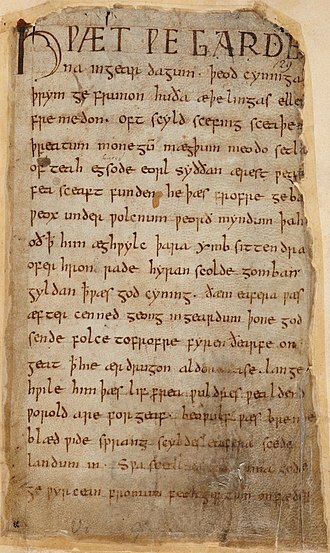 Hygelac was a king of the Geats according to the poem Beowulf. It is Hygelacs presence in the poem which has allowed scholars to date the setting of the poem as well as to infer that it contains at least some points of historical fact. Hygelac was married to Hygd and they had a son Heardred, the Swedes found refuge at a hill fort but were assaulted by the Geats. In the battle, the Swedish king was slain by Eofor, after the death of his brother Herebeald, Hygelac ascended the Geatish throne. Hygelac went on a Viking raid to Frisia and was killed, Hygelac was succeeded by Heardred, according to Beowulf. Gregory of Tours calls this king Chlochilaicus Danish and he is called the king of Getae in the Liber Monstrorum and king of the Goths in Liber historiae Francorum. After cutting the Geatish danger, the rest of the survivors took to sea in such disordered haste that they left their dead on the field, included their king. 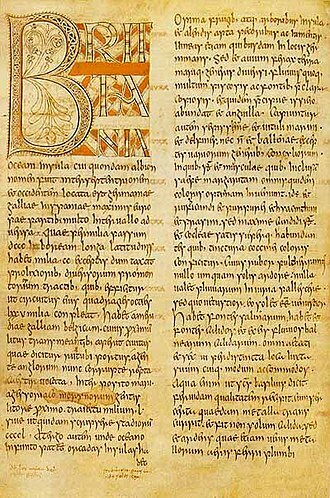 There are two theories on how the account of Chlochilaicus raid came to be preserved in the epic Beowulf and it may date to the early 8th century, but some have suggested that it was composed as late as the 10th century, the date of the sole surviving manuscript. The Funnelbeaker culture, in short TRB or TBK was an archaeological culture in north-central Europe. Especially in the southern and eastern groups, local sequences of variants emerged, the younger TRB in these areas was superseded by the Single Grave culture at about 2800 BC. The north-central European megaliths were built primarily during the TRB era, the Funnelbeaker culture is named for its characteristic ceramics and amphorae with funnel-shaped tops, which were found in dolmen burials. 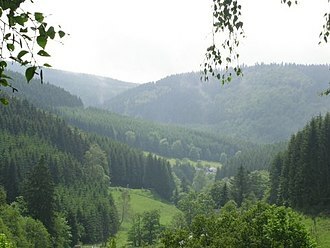 The TRB ranges from the Elbe catchment in Germany and Bohemia with an extension into the Netherlands, to southern Scandinavia in the north. With the exception of some settlements such as Alvastra pile-dwelling. It was characterised by single-family daubed houses c.12 m x 6 m and it was dominated by animal husbandry of sheep, cattle and goats, but there was hunting and fishing. One find assigned to the Funnelbeaker culture is the Bronocice pot from Poland, primitive wheat and barley was grown on small patches that were fast depleted, due to which the population frequently moved small distances. There was mining and collection of flintstone, which was traded into regions lacking the stone, the culture imported copper from Central Europe, especially daggers and axes. The houses were centered on a grave, a symbol of social cohesion. Burial practices were varied, depending on region and changed over time, inhumation seems to have been the rule. The oldest graves consisted of wooden chambered cairns inside long barrows, the structures were probably covered with a heap of dirt and the entrance was blocked by a stone. 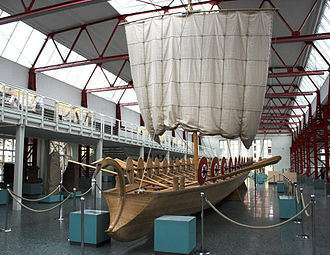 The Funnelbeaker culture marks the appearance of megalithic tombs at the coasts of the Baltic and of the North sea, the megalithic structures of Ireland and Portugal are somewhat older and have been connected to earlier archeological cultures of those areas. At graves, the people sacrificed ceramic vessels that contained food along with amber jewelry, flint-axes and vessels were deposed in streams and lakes near the farmlands, and virtually all Swedens 10,000 flint axes that have been found from this culture were probably sacrificed in water. Westphalian (German) ladies peasant costume – illustration by Percy Anderson for Costume Fanciful, Historical and Theatrical, 1906.